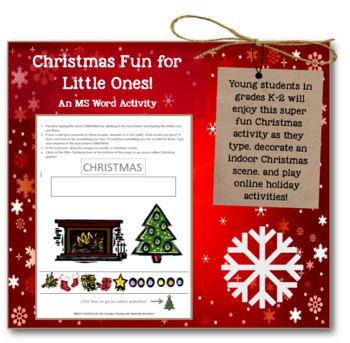 -and, accessing online Christmas activities all within the same Word document. 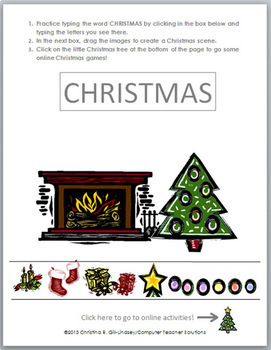 At the bottom of the document is a small "Christmas tree" image that links to an online activities page created just for this product! 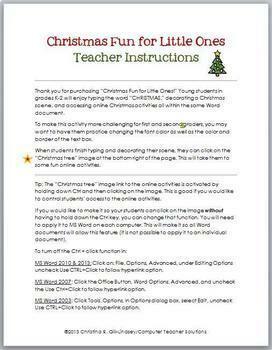 This product contains teacher instructions along with a student file. The license for this product is limited for use in one classroom only. If you have multiple computers in that classroom, you may use it on all of them. Copyright 2013 Christina R. Gill-Lindsey. All rights reserved worldwide.